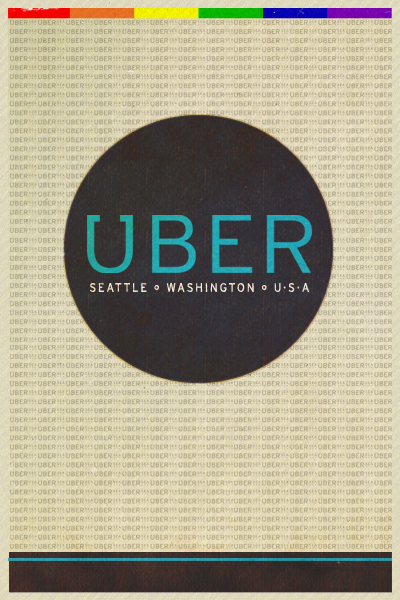 In Seattle, three Uber car services are available. 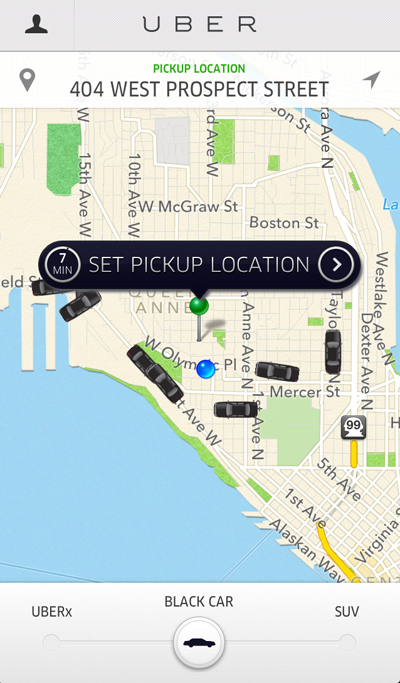 UberX is cheaper, a little more sporty, and uses hybrid and mid-range vehicles. Uber "Black" is the original, using high-end sedans to make your destination arrival a stylish one. Uber "SUV" is the most expensive, but seats up to six people. 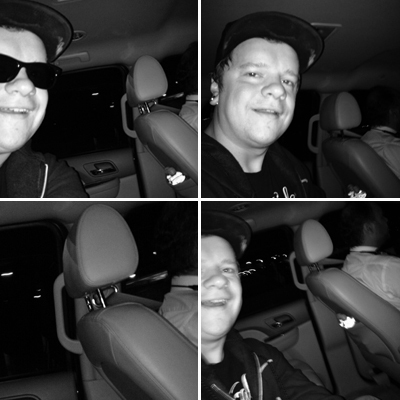 Above is our college design comrade Jeff in an UberBlack at 3:30am. Jeff came to visit us in Seattle this week to celebrate the 4th of July, but his flight out of Boston was delayed by 5 hours... hence the late arrival and tired eyes. He was stoked however to be riding in an Uber, and taking advantage of their flat rate from SeaTac airport to downtown ($50). Our favorite part about Uber is the cool people who drive their cars, and how you pay for their services. It's all a part of the app. (pictured above: Emily on her first UberX ride after the Mariners game this past week). 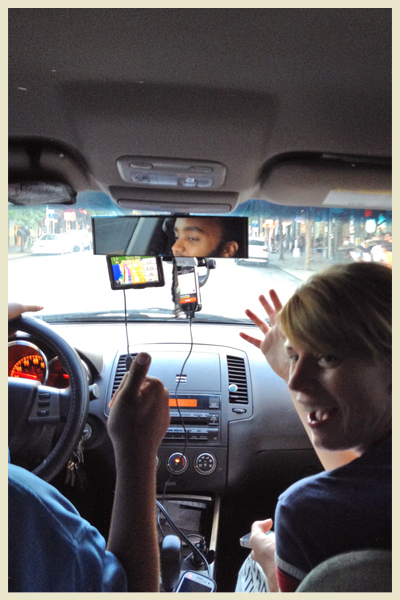 Seattle taxi drivers are notorious for giving you a hard time if you don't pay in cash. What we like about Uber is the fact that your ride gets charged to the card on file with them, and tip is included. 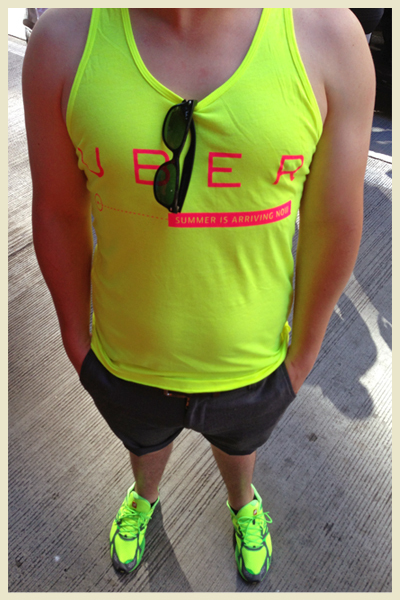 We love Uber so much forYoungModerns even participated in the Pride parade last Sunday with Uber Seattle! -Dancing in the streets while thousands of people celebrated on the sidelines was such a surreal and awesome experience... we even received free Uber tanks! Uber is rolling out across the nation and now worldwide. It's a simple, convenient, and fun way to travel! Visit their website HERE for more information on their services! 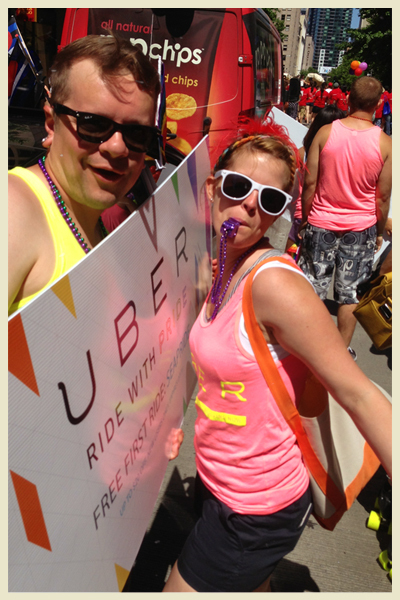 Special thanks to Jen at Uber Seattle for having us join the fun in the Pride parade this past Sunday!